There will not be any fancy words for this post. 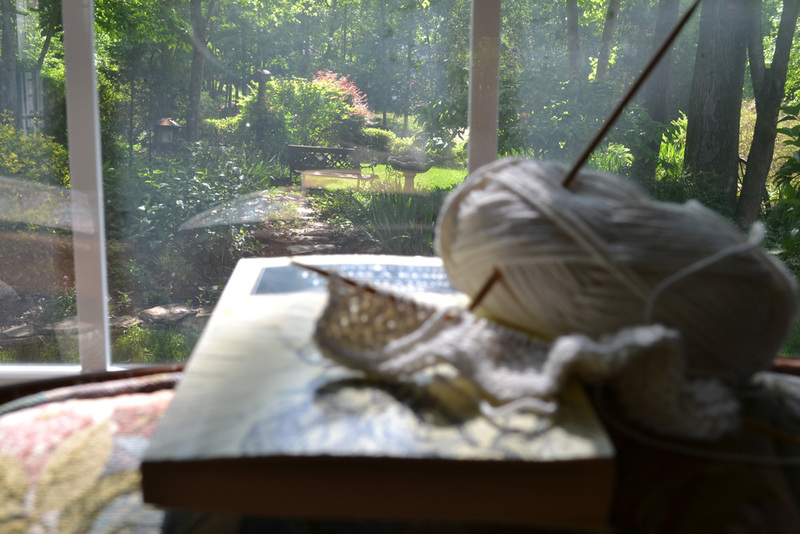 Just a quick link up with Ginny about what I’m reading and knitting at present. Knitting: A baby washcloth for my cousin who is expecting this summer. I’m making it up as I go and I can’t even tell you how many cast on stitches there are! I don’t think it matters though. When I finish it, it will do the job it’s intended for. My reading choice has an interesting story with it, but I’ll save it for another day. The book is called, Thomas A Kempis: The Imitation of Christ and I quite like it so far.